Calling all quality professional psychics! Even on my very best day, there is no way that I can meet the need for readers, healers and other professional spiritualists on my site. Five thousand people visited my site yesterday alone! 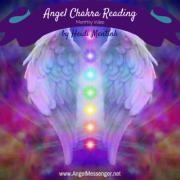 When I first started Angel Messenger, it was with the goal of creating my own center. With the downfall of our economy, it became impractical to rent a building and try this on my own. So, with the help of my guides and angels, I kept working on creating a website that could offer as much help as possible. The only problem now is that it has gotten too big, and it’s time to revisit my original goal. Although it is still impractical to create a physical center for spiritual growth, I feel it’s an excellent idea to create such a space online in an environment that has already proven to be popular and useful to website visitors. 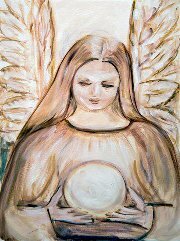 So, I am looking for quality psychics, healers and spiritual professionals who may be interested in offering their services at Angel Messenger. I have not worked out all the details yet, so I am not even accepting applicants at this time. This post is more to put some feelers out there to see what the feedback might be. My plan is to hire a few individuals to help me meet the needs of visitors to my site. Being that these are my clients and people that put their trust in me, the application process will not be easy. I like the way that Psychic Access interviews and tests their psychics, and those wanting to work with Angel Messenger will go through a similar process. Though I have many friends who offer these types of services, I cannot simply hire my friends. That would interfere with the integrity of what I’m doing here. Applicants will be interviewed by myself and tested by my clients. Applicants will also have to show a proven record of being a successful professional psychic, etc., with at least five years of experience. The readings offered would work differently than what Psychic Access does. I do not like per minute readings for several reasons. For one, they tend to be more expensive for clients. For practitioners, it can be time consuming waiting around to see if someone calls, and most prefer scheduled appointments. What I am putting together will be scheduled appointments. Practitioners can offer days and times they wish to offer appointments at Angel Messenger. Clients will be able to schedule appointments up to three weeks in advance but no sooner than three days in advance. That means practitioners can get on with their regular schedule, and no one will be required a set number of hours a week. If you can only offer appointments on Angel Messenger every other Tuesday evening, I can work with that. http://www.angelmessenger.net/wp-content/uploads/Angel-Messenger-Logo-2016-v4.png 0 0 Rev. Sheri http://www.angelmessenger.net/wp-content/uploads/Angel-Messenger-Logo-2016-v4.png Rev. Sheri2012-02-01 13:17:452012-02-13 18:42:46Calling All Quality Psychics! Okay, here are the details! It might seem like a lot to read at first, but I spent a lot of time thinking this through and making sure I answered as many questions as possible. Hi Diana! Thank you! I am going to be contacting clients to have them help with the interview process. Since my clients already know what a reading with me is like, I’m going to have them do mini readings with potential prospects, and those clients will have a say in whether a practitioner is accepted. This sounds wonderful!!!! I will be praying for this to manifest and come to light!!! I would love to help out in any way!!! You are a gifted Angel Rev Sheri and I would love to work with you one day! I m so excited for you and know that this will be divine work of loving lightworkers pulling together their gifts in helping and teaching others in their journey on this amazing earth. I look forward to hearing more great news about this new project of love!!! Sending you all my love and prayers!! I am getting very excited about this! I’m already getting quite a response, which is awesome!!! Emine, I’m probably going to work with U.S. based practitioners to start. Taking on the whole world might be too big a job right now, but please do keep in touch because that may change down the road. Colleen, thank you for the support … I too think it’s a beautiful idea! 🙂 I’ve thought about creating my own deck to put on my site. It’s on my “to do” list actually, but I’m not exactly an artist, so that’s creating some stumbling blocks. Thank you all for writing. I’m very exciting about all the contacts who’ve reached out to me already. I did some work on the idea today, but there’s still things to do. I hope to have something posted by Tuesday, though. This sounds like a very exciting next step for the incredible space you have created. Having been a client of yours, it would be an honor to work with you as part of your intuitive/healer community. It seems you would be able to do a first pass on interested parties using your own intuition. You might also request a reading from intersted parties to get a sense of the tools/techniques used. I would be honored to both be a part of your team and also be a reader for your clients. I can only imagine how much courage it took you to put your “feelers” out here. If you need a thinking partner, I am happy to assist (with no strings attached of course–I really mean it). I would be interested in applying. I work in Sweden at the moment and have many international clients. I have also worked in London, England. I think this is a beautiful idea. I am very interested in your new venture. My name is Colleen and I am a intuitive.I offer services of healing and growth to my clients with the loving guidance from my angels. I am also a medium, passing along any messages that I am given with love and respect. I love angel cards with all of my being. I am currently creating my own deck, to help enspire encourage and heal. My goal is to connect and share the love of the angels with everyone. It all started with a sore throat … Want to work with Angel Messenger?